Sweet Shot Tuesday – Windowsill Dove Babies! 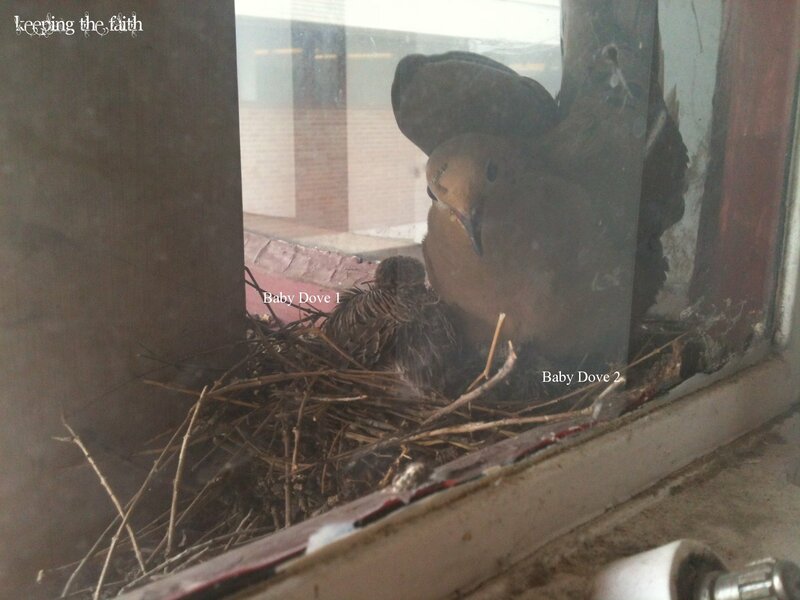 It’s Windowsill Dove and the babies! It’s astonishing how quickly they grow. A week ago they were naked pink babies, now they’re taking up half of the nest space.